Summary from Goodreads: The fourth and final installment in the spellbinding series from the irrepressible, #1 New York Times bestselling author Maggie Stiefvater. I‘m going to be completely honest, The Raven King was not as good as the first three books in my opinion. Perhaps my expectations were just too high, but either way, I was not as big of a fan of this book. It was kind of confusing with all these little subplots here and there and new characters. Plus, not much actually happened to add to the plot. Most of the beginning just felt like filler and nothing related to the plot was really going on until after the second half. Don’t get me wrong, I still really enjoyed this book! However, it just wasn’t what I was hoping. The main characters were amazing as ever (but where was Noah???) and the writing was wonderful! There were so many great things about this book, so when I say it wasn’t what I expected, I’m not saying it’s bad, just, well, not exactly what I was expecting. I won’t go to in depth about the plot, but this book takes place right where we left off (there will be spoilers for the first three books, so watch out!). Everyone is still searching for Glendower. Blue is still struggling with the fact she is destined to kill Gansey before the year is over. So now, along with trying to find Glendower, everyone is trying to find a way to stop Gansey from dying. Not only do we see Ronan, Adam, Blue, and Gansey working to figure everything out, but Henry Cheng, who was previously introduced, helps them out as well. Can I tell you how much I love these characters? Seriously, I just want to reach through the pages and hug them and tell them everything will be alright, even though it probably won’t. 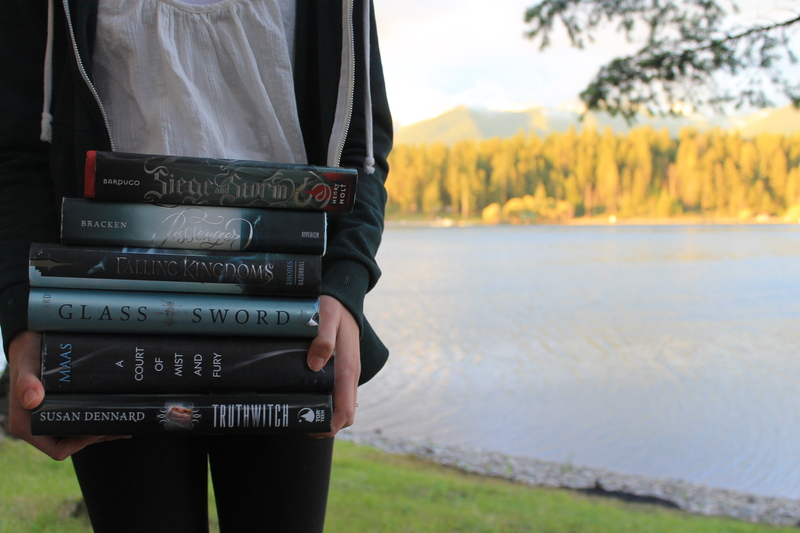 Maggie Stiefvater easily creates three-dimensional complex interesting characters that make you laugh and cry and scream. Stubborn Adam, eclectic Blue, determined Gansey, guarded Ronan, and kind (but neglected) Noah. We were introduced to some new(ish) characters in this book that were really confusing. Even though Piper Greenmantle was introduced before, her storyline was still confusing. I also had no clue what was going on with the whole Laumonier thing. It felt unnecessary and just kind of filler content. I definitely would have liked for Stiefvater to add more basis to these two, and other, characters so it wasn’t as confusing. What a strange constellation they all were. Like I said, for the first half of this book, not much actually happened. There was some really creepy stuff going on that freaked me out, but even that didn’t happen until like 45%. A lot of the actual plot didn’t happen until the last 100-150 pages. I’m not complaining though, because I would read just about anything, no matter how boring, with these characters. “Richie Rich is just a person,” Orla said. Despite this all, I still loved this book. Maggie Stiefvater’s writing is absolutely wonderful. It pulls you in right from the first line. Not just for The Raven King, but all the books in this series. There is no doubt in my mind her writing style was any less amazing in her other books, too. It’s poetic and haunting and beautiful, but it also gets to the point. She doesn’t add so much detail that it’s overwhelming, just enough that you can picture everything without straying away from the actual plot. 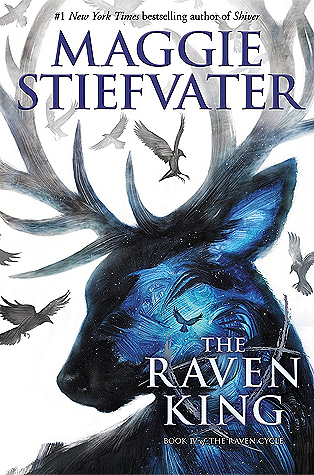 All in all, The Raven King was a great conclusion to The Raven Cycle. It was beautiful and creepy and the characters were as amazing as ever. Some parts were kind of confusing and the pacing wasn’t my favorite. Overall, I loved this book! I can’t believe this series is already over.